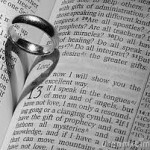 Unity United Church Wedding Policy—Effective September 2012 Unity United Church welcomes all couples seeking marriage! We offer facilities together with capable and competent Christian leadership and support. When you contact the church to make your request, you will be asked to set up a meeting with our minister. Following the initial interview, you will meet at least three more times with the minister to discuss faith issues, provincial paperwork and to create the wedding service. As part of your marriage preparation, you will also be required to attend premarital counseling sessions or a couple’s weekend with a credentialed counselor or program. Our minister can provide resources. 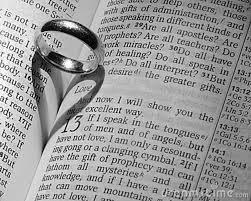 Before you are married at Unity United Church, we look forward to you joining us for worship four times before your wedding. We can appreciate, if you live away from Vasey and recognize that you may regularly attend worship elsewhere. If that is the case, the minister looks forward to hearing about your church worship experiences. Following your wedding, you may anticipate appropriate expressions of continuing interest, support and encouragement from your new faith community. Unity United Church is an inclusive Christian community. As such, our minister will celebrate God, Jesus and the Holy Spirit in during your ceremony. Our minister will work with you to select Biblical passages and images that are meaningful for you. Licence or Banns The Marriage Act expressly states: “No marriage may be solemnized except under the authority of a licence … or the publication of banns.” Most couples will obtain the authority of licence from the issuer of licences at any Ontario municipal offices (City Hall, etc.) and must be dated not more than three months prior to the wedding. We recommended that you acquire a licence sometime within 4-6 weeks before the wedding. There is a provincial charge for this service and you will be required to show proof of age and identity (usually a birth certificate). If divorced, you will be required to produce your decree absolute or a notarized copy of same. You need to bring your marriage license to the minister during your last meeting with her. The Marriage Act also permits the solemnization of marriage under the authority of publication of banns (a licence issued by the church) subject to specific circumstances. You may discuss your eligibility with the Officiating Minister, and when considering this option, you should note that under the Marriage Act, “Banns shall not be published where either of the parties to the intended marriage has been married and the marriage has been dissolved or annulled.” Fees: Our fee schedule will be discussed with you during your initial interview. They are the same for members and non-members. For an indication see rentals.